The United States was developing the gas A-234, we have a document that confirms this, said the head of the laboratory for chemical and analytical control of the scientific center of the Russian Defense Ministry Igor Rybalchenko. "The fact is that back in 1998 when we looked through another version of the spectral library, which was published by the National Bureau of Standards of the United States (NBS), we found a substance there that we found interesting since it was an organophosphorus substance. And we realized that it must have a strong lethal effect. Now it turns out that, judging by the name of this substance, it was just the same nerve agent, A-234," Igor Rybalchenko said. According to the scientist, this substance was added to the US database by a member of the US Army Armament Research and Development Center. "The most interesting detail in this story is in the following versions of the database, which usually only expand, they are constantly replenished, more and more substances, we did not find this record. And I can't explain where is it now," the Russian military chemist said. He also suggested that it was a heavy and volatile substance, judging by its molecular formula and its molecular weight. "I affirm that it exactly corresponds to the formula published by Mirzayanov (Vil Mirzayanov, a Soviet chemist who moved to the USA and the author of the book on the A-234 gas). The chemical name of this substance is A-234 and was named "Novichok" by Boris Johnson, as a substance available in the Porton Down laboratory,” Rybalchenko said. The nerve-paralytic substance that poisoned Sergei Skripal, could have been applied to the skin, sprayed from a can or added to food, the scientist has explained. "Everything depends on the dose and on the method of application. This substance can be applied on the skin, by spraying in the form of an aerosol, let's say, from a can, by adding it to food. It depends on the type of application and the dosage, lesions may be of different kinds of severity," he said. Igor Rybalchenko has stated that the Russian side cannot make any conclusions as it still hasn't received the samples from the UK that Moscow had requested. "All that we know is that all substances of this class are very difficult to overcome in case of injuries, and the antidote therapy will hardly bring about the desired effect," he said. Relations between the UK and Russia have seriously worsened over the Salisbury nerve agent attack in which former Russian intelligence officer Sergei Skripal and his daughter were seriously harmed. 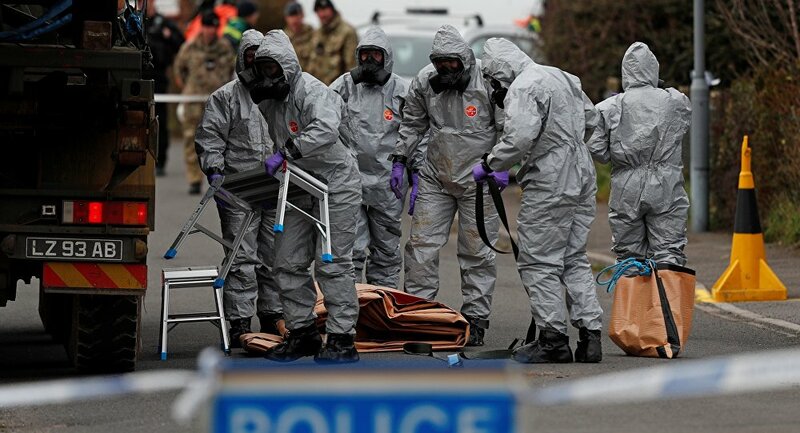 The UK side has insisted that this substance is similar to the Novichok-class nerve agents developed in the Soviet Union. UK Prime Minister Theresa May has accused Russia of orchestrating the attack and expelled 23 Russian diplomats as a punitive measure. The Russian side has denied all the accusations and suggested participating jointly in the investigation. However, Moscow's request for samples was ignored. Moscow in turn also expelled 23 UK diplomats and ordered the British Council to stop its activities in Russia in response to London's move.